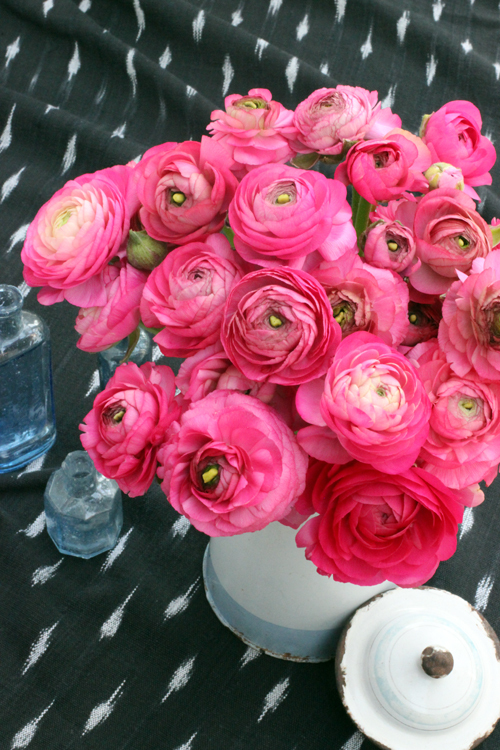 The Ranunculus is one of the loveliest and is also an extremely popular spring flowers. It has layers and layers of delicate petals and comes in many different colours and varieties. 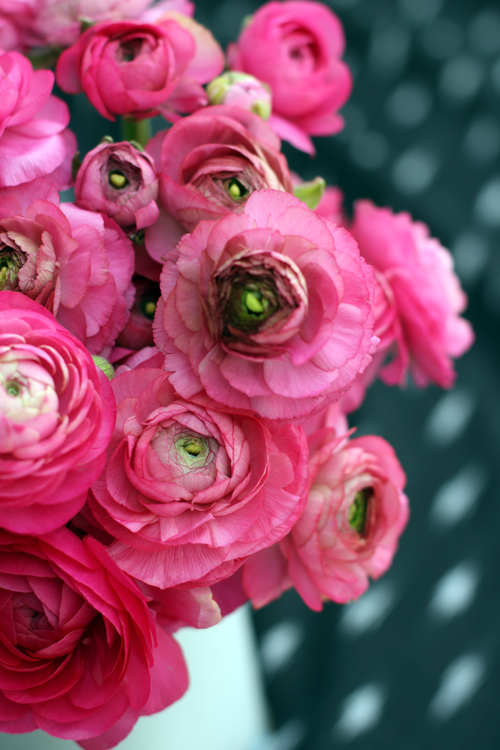 Ranunculus are available from about October to April or May. When you buy them avoid buying flowers in tight bud - they usually never open up. Instead select flowers where the buds show colour. Make sure to give them enough time to fully open up. They take a few days - so plan ahead if you are going to use them for a special occasion. 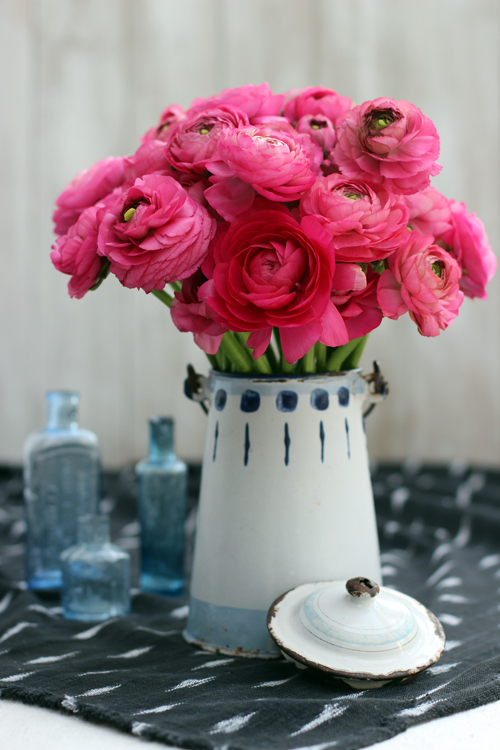 The container I have used as a vase is a French vintage enamelled milk churn. It's decorated with hand painted lines and dots in two different blue colours. 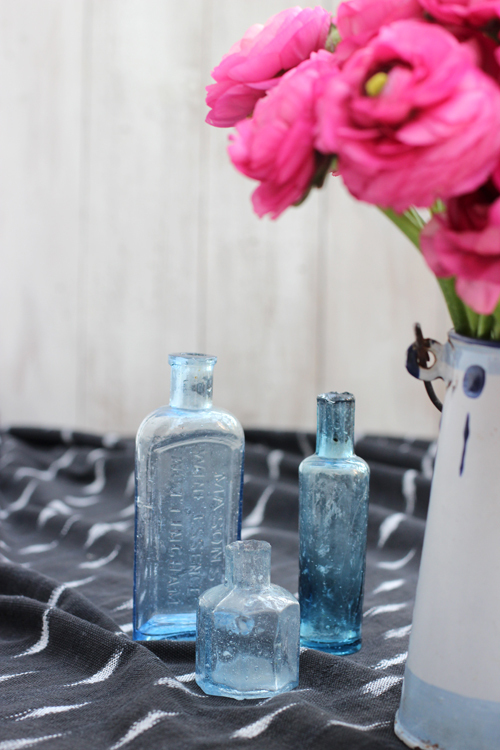 I picked out three little vintage bottles in the same matching blue colour as on the milk churn. These bottles has such a lovely colour when the light shines through them. Worth keeping an eye out for similar at car boot sales or flea markets. For this arrangement I have removed all the foliage - it tends to not be very nice anyway. The hollow and delicate stems tend to be prone to rot - so handle with care and put in shallow water. 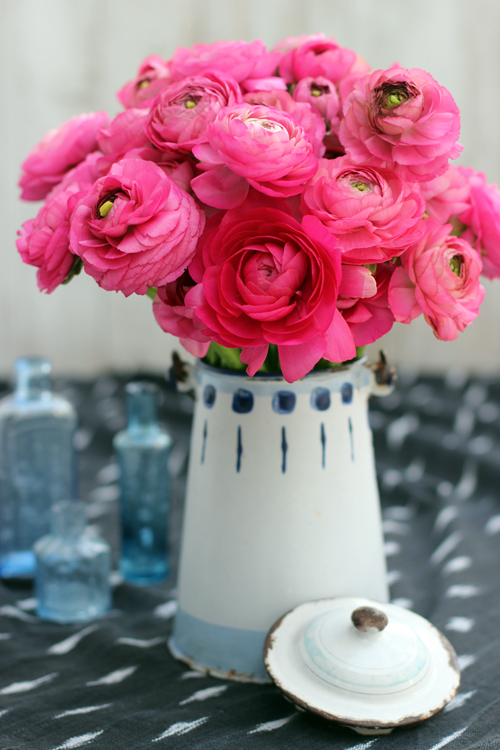 The black ikat fabric is from Mexico - an interesting contrast to the vintage props and the deep pink flowers.